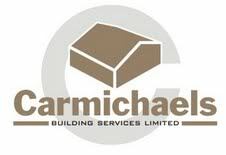 Quality building work and great service, that Carmichaels has been providing the South and South West Wales area since 1978. If you have the plans and are ready to build a new house then we will be more than happy to tender for the work. We can also help from the start, our in-depth planning, design and building experience has helped us create stunning new houses which are both practical and aesthetically appealing. Carmichaels are NHBC accredited. From Carmichaels Developments, our sister company. Carmichaels Developments have been designing and building new homes since 1998. From large detached executive homes to the more affordable family homes Carmichaels Developments have put their distinctive touch to these homes, with the same standard of finish and quality throughout the range. Designed in house four bedroom executive homes. Builders in the Swanesa, Sketty, Carmarthenshire, Llanelli, Tumble, Crosshands, Ammanford, Garnant, Crosshands, Penygroes, Mumbles, LLandeilo, Llandovery area.